If you would like to be eligible for future such giveaways, here are some links you can use to sign up. Request to join the Dark Room (a secret – private Goodreads group – just send me a message via email or from within Goodreads. Sign up for release notification, pre-release specials, and giveaways for books in The First Empire, click here. NOTE: If you are already on the mailing list – you are automatically entered for future drawings. Originally I was going to print up the book in the same state as the first beta, but I now want to get the changes in and then print THAT version. I’ve incorporated all the beta edit changes, and Robin is giving it a copy-edit. These versions should be going on the presses in Early January. This actually happened a while ago, but I totally forgot to “announce” it until I got a message from a friend on goodreads about it. So here goes…. 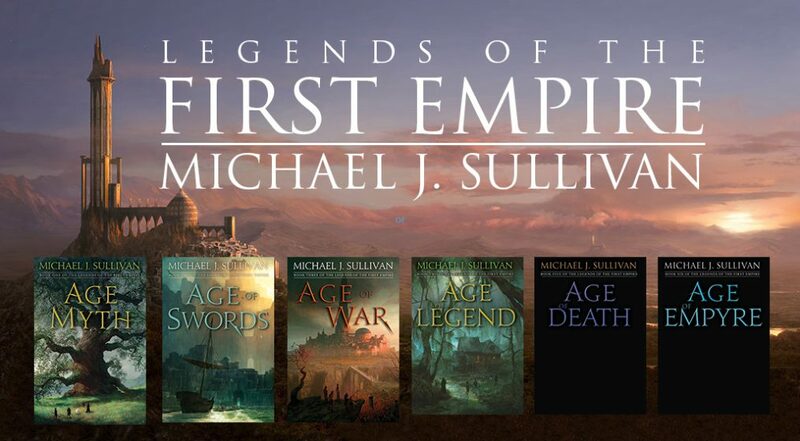 Yes, the books of the First Empire are on goodreads and people are already adding them to their shelves. In fact, Rhune (Book #1) is sitting on almost 5,000 shelves! If you are on goodreads, and want to add the books to your own “to be read piles” here are some links to help make it easy: Rhune | Dherg | Rhist | Fhrey | Untitled (Book #5). Please note, we are still in the VERY early stages of the development of this series so the covers above are placeholders only and they most certainly will changed by the release date. Also, the titles of the book themselves are only “working titles” and what is released may be quite different than what is shown here. I hope you are interested in the new series, and if you are, then please add the books to your shelf and Goodreads will let you know when they are published. So, the first beta is over (and Robin did a fabulous job running it, as I knew she would). The feedback has been spectacular and it confirmed a lot of the things I suspected and gave me some new things to consider. I’m in the process of making the changes and the feedback will definitely improve the final book. So thanks to all the beta people for all your hard work. Here is some “stats” data from Michael about the beta read. No idea at this point how long before the reworks are done…but I’ve decided before I print the “limited edition” copies I’m going to get the changes made. Which reminds me I still have some drawing to do – which I will forthwith – and report on my main site.